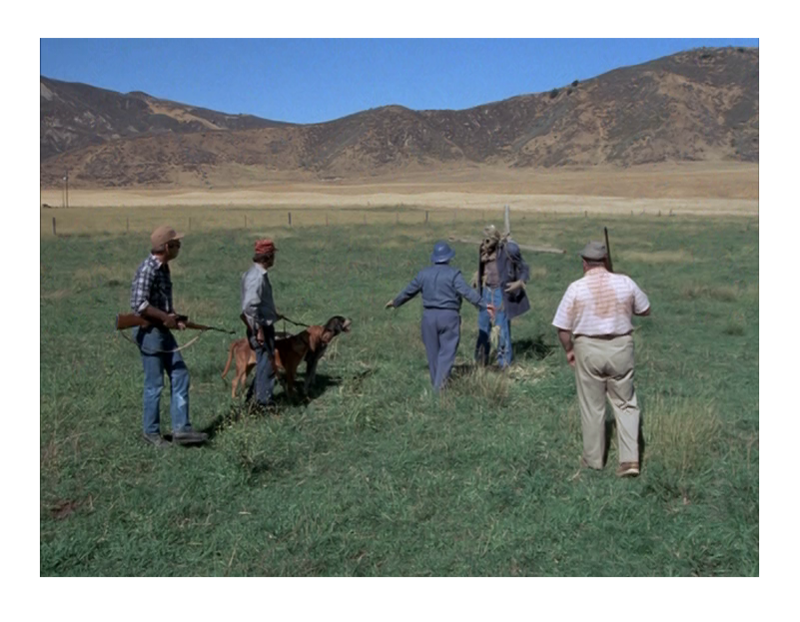 In a small town, an angry posse of townsfolk kills a mentally disabled man (Larry Drake, Benny Stulwicz in TV’s L.A. Law) after he is (falsely) accused of hurting a little girl. Later, members of the posse begin to die one by one under mysterious circumstances. Is someone, or something, avenging the dead man? The 1970s seem to have been the golden era of creepy made-for-TV movies. Looking back, I realize that I need to blame the TV Movie-of-the-Week for many sleepless nights. 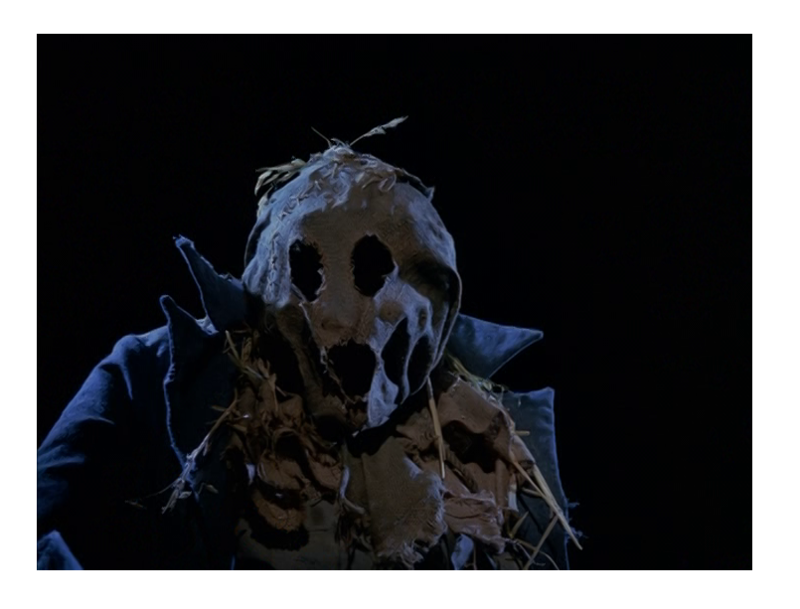 Originally aired on CBS, Dark Night of the Scarecrow is one of my favorite TV movies from the era, a spooky revenge tale with supernatural overtones. It scared me as a kid and I enjoyed very much as an adult. The film was directed by mystery-author-turned-filmmaker Frank De Felitta, whose books Audrey Rose and The Entity became international best-sellers (both books were turned into films). Felitta didn’t write the script, but his track record as a popular writer of supernatural thrillers made him the perfect person to helm this horror film. Because TV was heavily regulated, filmmakers were forced to be a bit more creative — Felitta was able to create a dense atmosphere of mystery without showing much. If jump-scare tactics, shaky camera movements and endless violence are your things, you’ll probably find the movie annoyingly quaint. However, if like me, you appreciate slow burn narratives and a chilly, ominous sense of anticipation, you’ll enjoy this simple yet super-eerie TV movie. Nothing here will make you jump out of your seat, but there is a big chance that at the end of the movie you’ll have an urge to double-check the darkest corners of your home. Dark Night of the Scarecrow takes its time to set up the scenario. You are halfway through the movie before you are treated with something unsettling. Personally, I liked the fact that the film doesn’t seem in any rush to get to the good stuff. The time is well spent fleshing out characters and developing situations. As I suggested before, you never see any real violence, but the film somehow manages to keep the suspense alive. The final sequences are very disturbing and creepy. The film has a great cast. Charles Durning (When A Stranger Calls) has the best role as the town’s mailman who may or may not have a thing for little girls. He plays the kind of villain you love to hate. Also in the cast is Jocelyn Brando (The Big Heat), Marlon’s sister, in a rare movie role as the mother of the mentally challenged man. Horror always works better when good actors convince you that the impossible is possible. 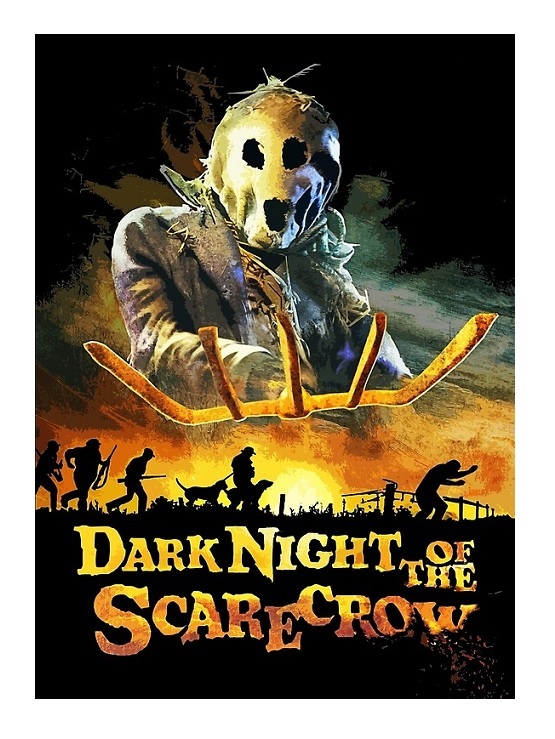 Dark Night of the Scarecrow was a childhood favorite and as such nostalgia played a part in my enjoyment of the film. I do think the film is genuinely well-made and scary, a great film for viewers who prefer psychological horror over gore. A nice selection for Halloween night. P.S. This is part of my annual October Horror Movie Challenge. This sounds splendid. To my shame, I’ve never even heard of the piece. I must keep an eye open for it. I loved this made for TV movie. I had nightmares about being stuck in a silo and being buried in corn.